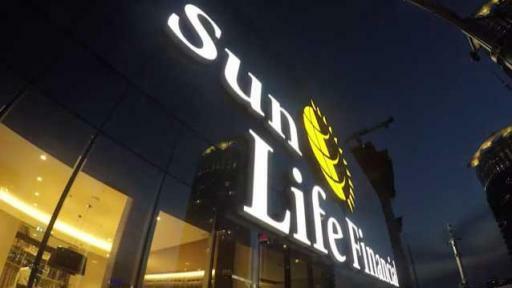 TORONTO, ON - (September 13, 2017) - Sun Life Financial Inc. (TSX: SLF) (NYSE: SLF) today celebrated the official opening of its new corporate headquarters at One York Street in the dynamic south core financial district. 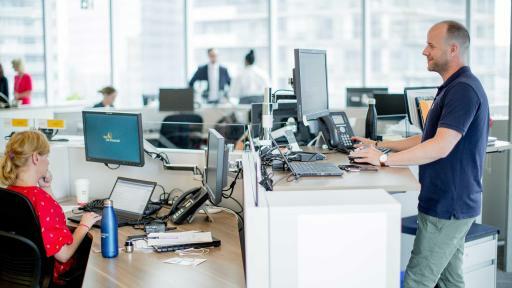 The 35-storey, 800,000 square foot office tower, designed to achieve Leadership in Energy and Environmental Design (LEED) Platinum certification, provides floor-to-ceiling windows, open workspaces, 200,000 square feet of retail, and connection to Toronto's Union Station and PATH network. 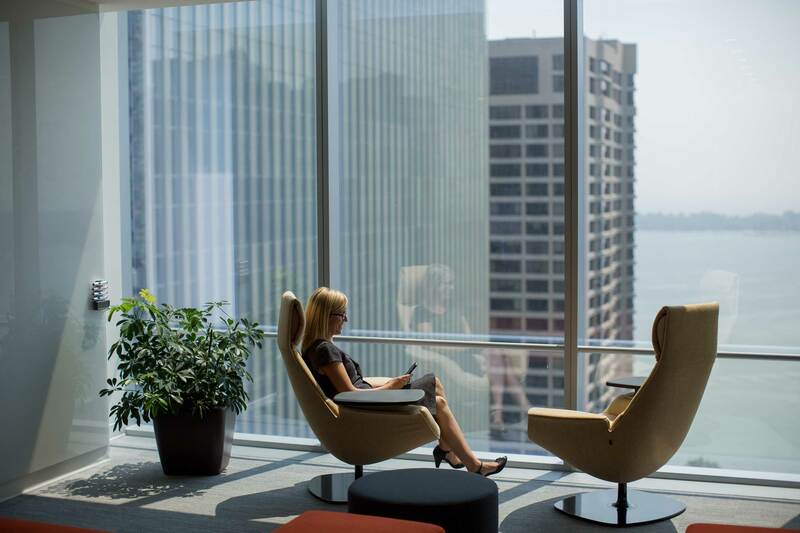 Home to 2,000+ Canadian based employees, on 17 of 35 floors occupied by Sun Life. 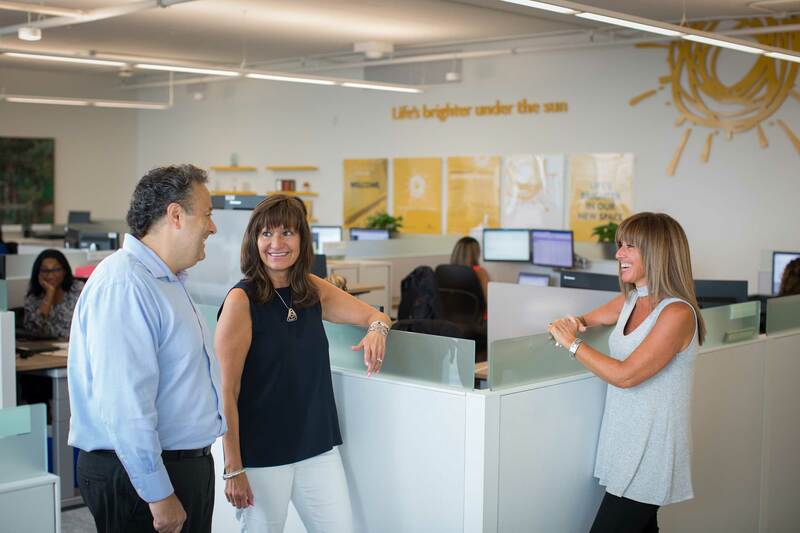 400+ collaboration and meeting spaces with a “Client-first” focus, reflecting the Sun Life brand. 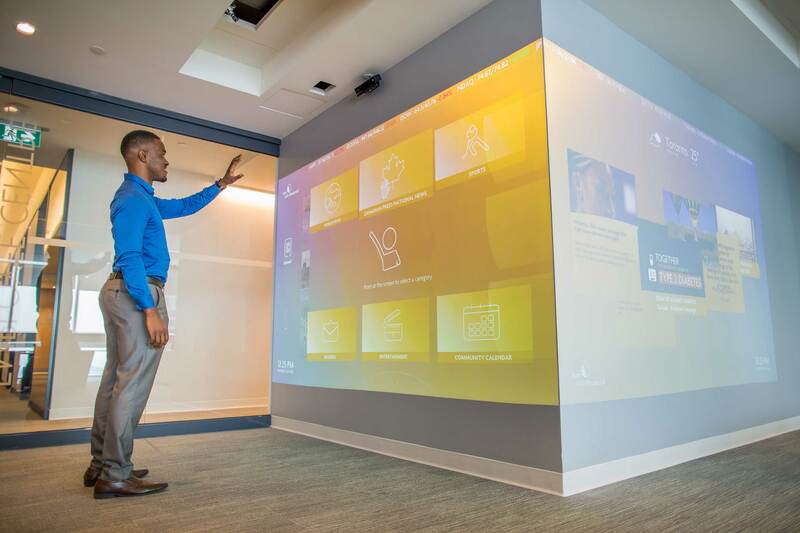 A fully agile work environment, which allows teams, spread across multiple locations to connect and collaborate using technologies that cut across time zones and space. Integrated and innovative technology including; a 40-foot Skyline Video Wall reflecting Sun Life's global operations, an interactive Wall to scroll through news, social media, entertainment and more; a People Collage Wall to take photos and display them in real- time; and a Historical Timeline featuring a touch-screen display that allows you to dive into Sun Life’s rich history. 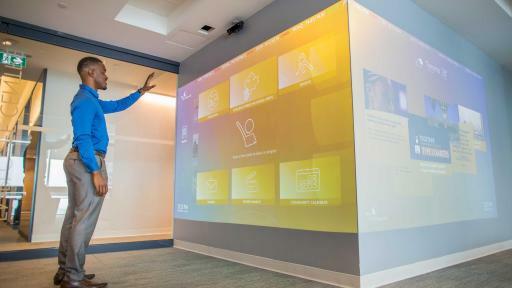 The Ignite Studio – a floor committed to digital and Client innovation and created for agile project delivery, design thinking workshops and innovation activities. 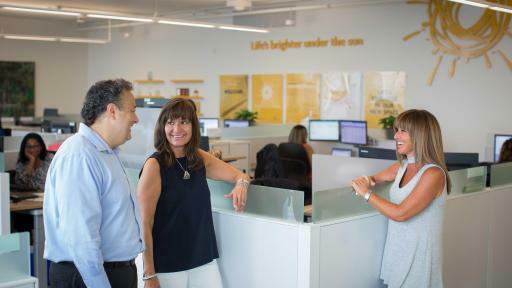 100% of workstations use sit/stand desks – reflecting Sun Life’s commitment to wellness. 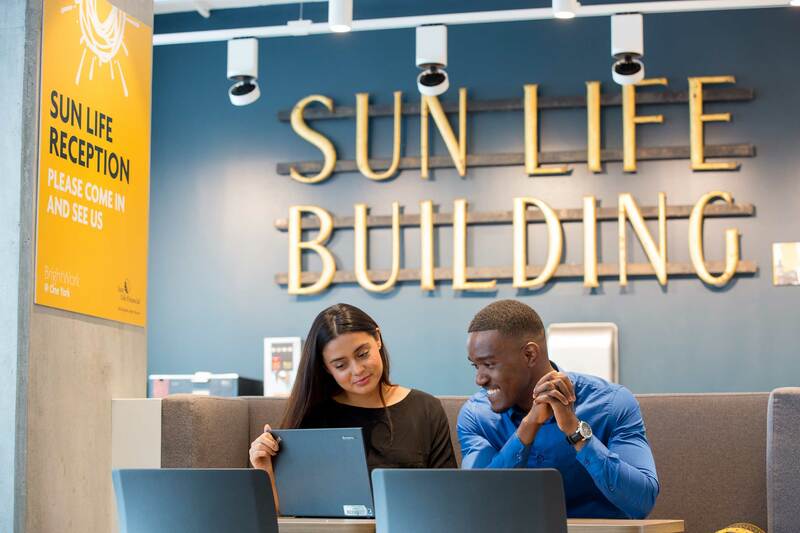 Sun Life’s commitment to environmental stewardship and sustainability including 300 bicycle racks, nine electric vehicle-charging stations, and two large rainwater cisterns, contributing to an anticipated annual savings of over five million litres of potable water. 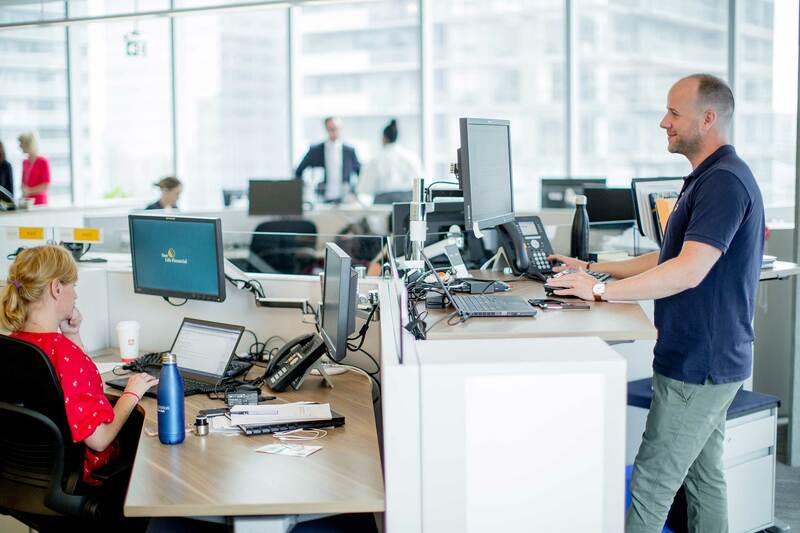 “Sustainability is part of who we are as a company, reflecting our long-term commitment to employees, Clients and communities,” added Connor. “Our investment in One York is one more step along the journey of reducing our environmental impact. 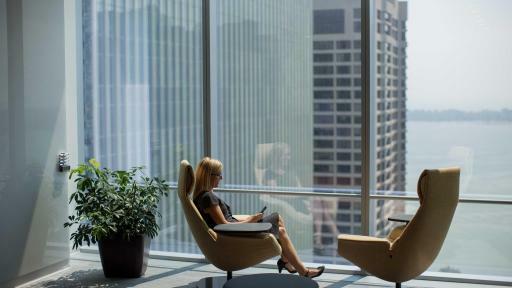 Leveraging technology, reducing the amount of energy we use during peak hours, and using less paper are just a few things we're doing to keep sustainability top-of-mind." 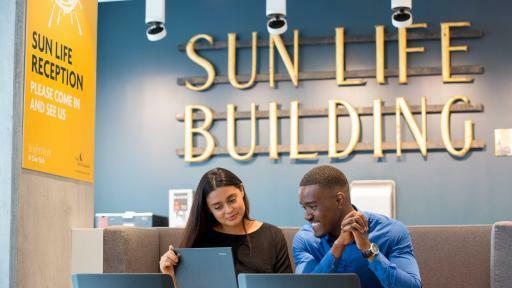 Called the Sun Life Financial tower, the eco-friendly property joins the Toronto skyline and is now ready to welcome Clients, advisors and employees at this bright and open business environment.